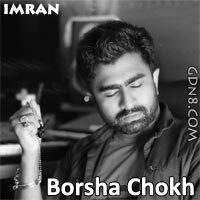 Borsha Chokh Song is Sung by Imran Mahmudul Bengali Song. Starring: Musfiq R. Farhan And Israt Eila. Music composed by Imran And Borsha Chokhe Bengali Song Lyrics written by Tareq Ananda.